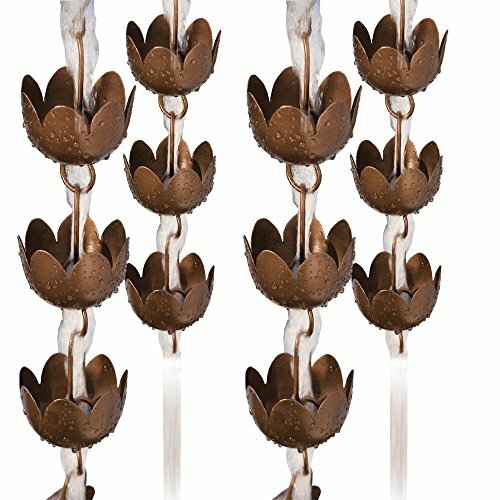 Each chain measures approximately 94" in length. Steel construction with dark brown, copper colored finish. Mount using the included steel clips to your gutter.